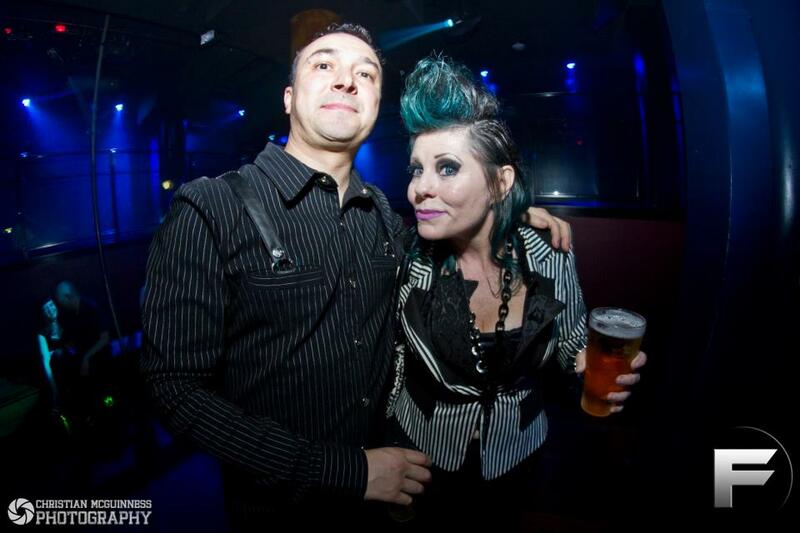 One of my favourite clubs was on Friday night, namely the Cobweb Club. 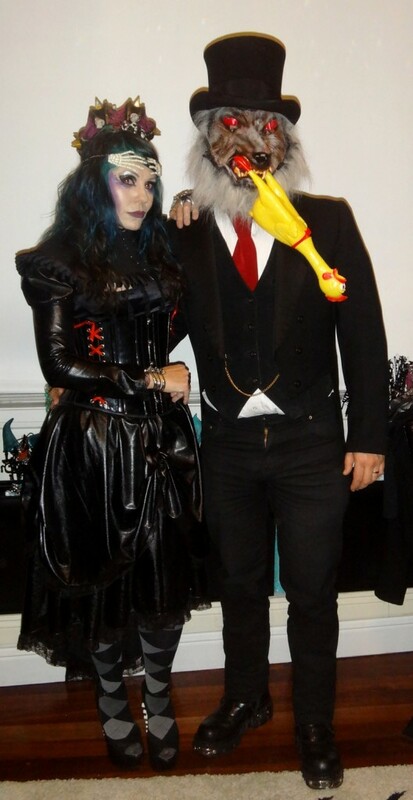 The theme was “Spellbound” and we were encouraged to dress in something ghoulish, goblinish, fairytaleish or fantasy-related. Since I wasn’t DJing this time, I could spend time on my costume and make-up. After much to’ing and froi’ng, I decided to go as an Evil Queen. Not the Disney Snow White one, not the Huntsman one, just a generic Evil Queen. Probably the best photo taken was by the professional photographer at the club, Brendan Macpherson. I do love a good excuse to dress up. 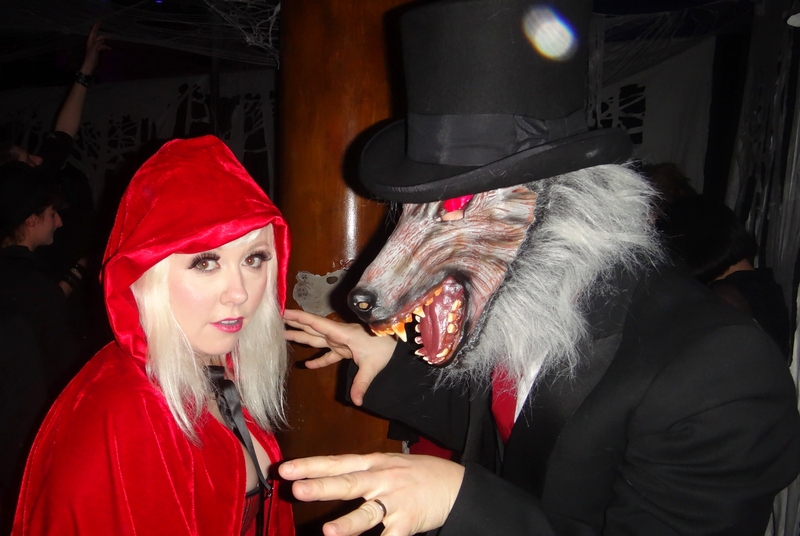 Have you been to any good clubs or parties lately where the costumes made it a memorable time? Skulls, beading & leopard…oh my! Yesterday I attended the Sydney Rock ‘n’ Roll & Alternative Markets…so natch, had to throw a rockin’ outfit together. In Kuala Lumpur I found a fantastic mesh top with large scale skull face on the front. With metallic beaded detailing on the eyes and nose, it’s quite effective…who’dathunk KL would have gothy gear like this? It’s from Parkson in the fabulous Pavilion mall, and the label is Elyze – believe me, they have some really cool stuff. And it only cost 108 ringgit – which is AUD$33! Since it was still pretty cold here yesterday I threw on a black skivvie underneath, along with my Sass & Bide Black Rat leggings and a studded miniskirt. A Topshop metallic leopard boyfriend jacket & studded cuff rounded off the ensemble. Oh, and let’s not forget my fave pointy leopard boots. 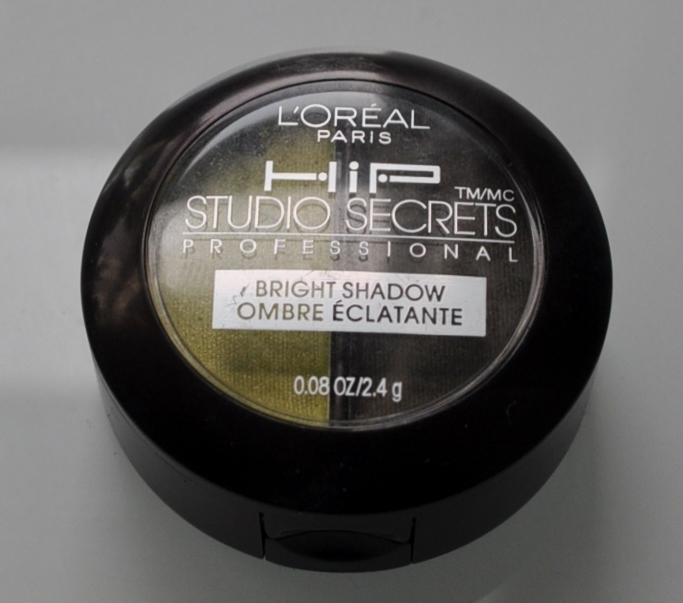 The eye make-up is a bright shadow duo from L’Oreal, from their High Intensity Pigment or HIP range. The set is called “Riotous” – I like it! 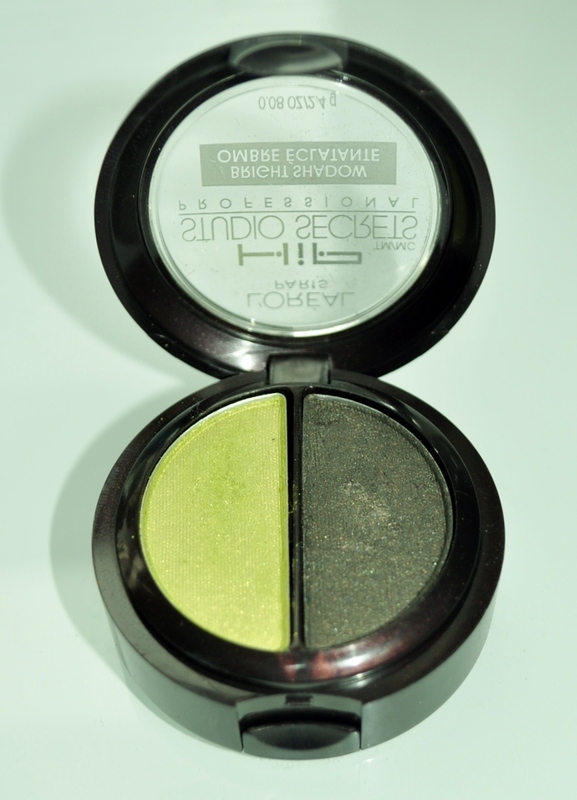 The green is a moody chartreuse and the grey/brown is a sludgy mud colour that goths, deathrockers and psychobilly chicks alike will love for its swampy quality. It’s a nice change from black eyeshadow that I can use in the daytime & still have a smoky eye. Better still, I got the set in a reduced-price bin at my local chemist – score! You’ve always gotta keep your eyes out for a bargain 😉 At $5 it was definitely “worth it”. I can honestly say most things I bought this time around are getting worn (or will be in the summer). I’ll do a small haul post soon, showing some of the gloriously coloured bags I bought, as well as shoes and clothes. While the buys from Topshop or New Look are no different in price to home, the local fashions and make-up items are most definitely cheaper. Have you scored any bargains recently, at home or overseas? 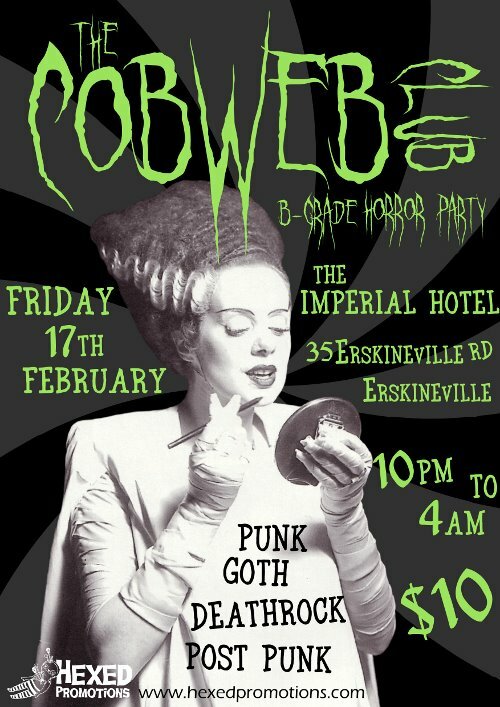 I may have left this a little late to promote, but tomorrow night is the premiere of the Cobweb Club in its new premises at the Imperial Hotel in Erskineville. Woohoo! It’s 5 minutes walk from my house – score! This time around I’m not DJing…but that’s good, cos I can spend time on my hair, make-up & costume beforehand…and drink the bar dry! (not that I’m encouraging immature behaviour). EDIT: I did indeed DJ that night..3rd time now! Calling all creatures from the Black Lagoon! 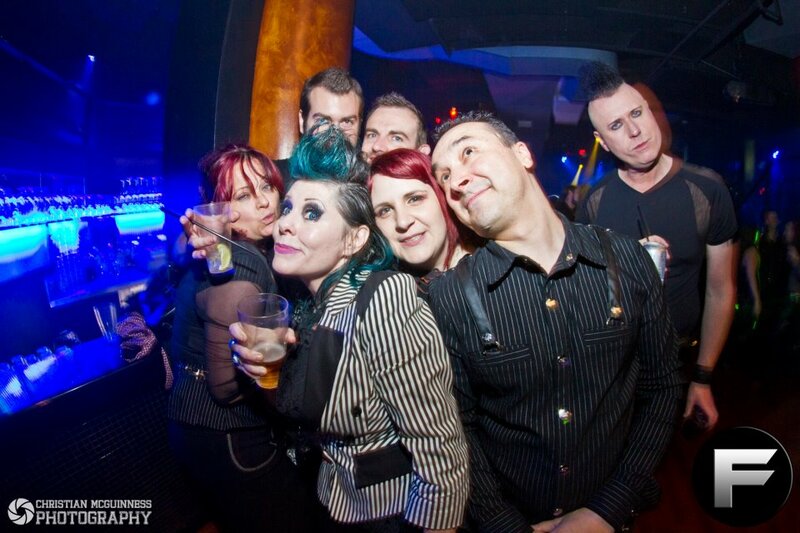 Sydney’s only dedicated goth rock, punk, deathrock and post-punk club is back, and we’re bigger and better than ever! And at $10, it’s a bloody bargain! We’re also excited to bring you something that rarely happens in goth clubs any more… vinyl DJing! 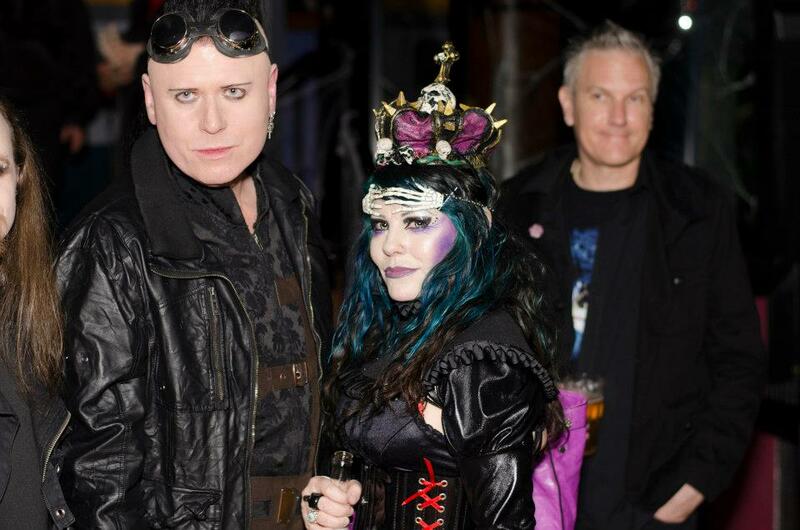 Two of our DJs will be playing a midnight versus set of new and classic goth, punk and deathrock tracks. Come and have a dance to records that might be older than you are! This time round, we’ve got the keys to one of Sydney’s newest venues, with an airconditioning system that will leave you as chilled as the grave, despite the summer heat. It has over 4 million dollars of sound, lighting equipment and venue design, and best of all, it’s right off King St in Newtown. 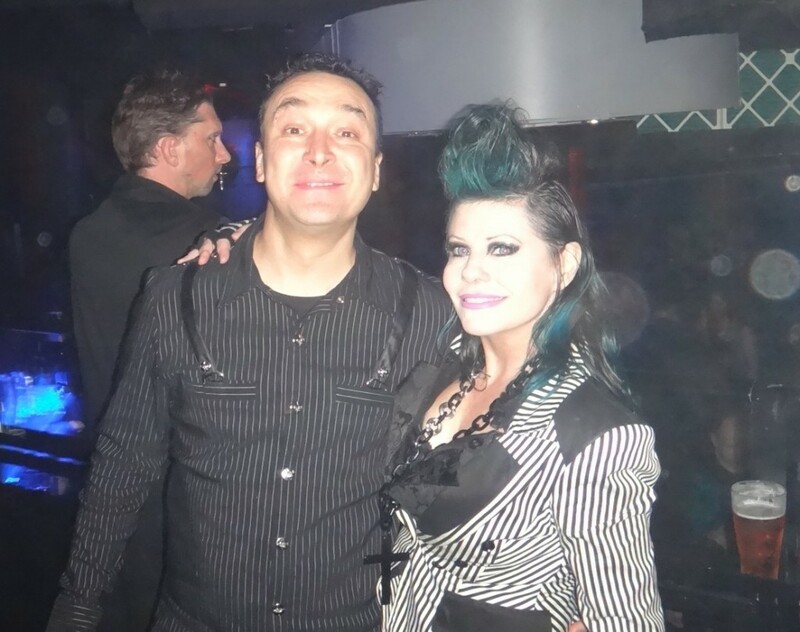 I’ve written about the Cobweb Club here before – Out Come the Bats!, My First DJ Gig at Cobweb Club, and Outfit for Cobweb Club. For a taste of the last one soundwise, here’s a YouTube Playlist of Cobweb Club Oct 11, or for the playlist itself see here. 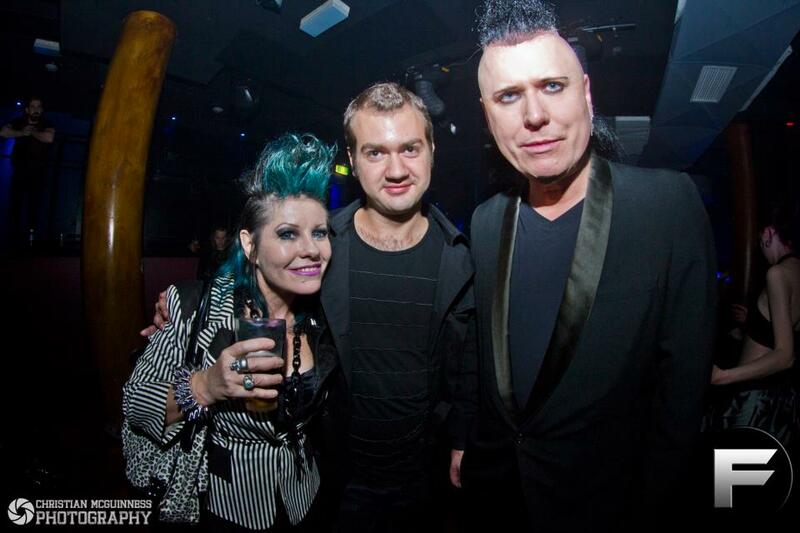 It is, of course, one of my very fave clubs, and one of the few goth clubs here that don’t play EBM or Industrial. The fashions are always stunning, as are the props, and I have a feeling this one will be the spooky-ookiest one yet! I know there’s going to be creeping fog along the floors, muahahahaha! If you’re in Sydney, I hope you can come along. It’ll be a blast! When I was in Leipzig at WGT, I couldn’t help but notice the number fo fab looking deathrockers around. My favourite hairstyles on them were brightly coloured death hawks, with leopard print tattoos on the side of their heads that showed through the shaved sides. 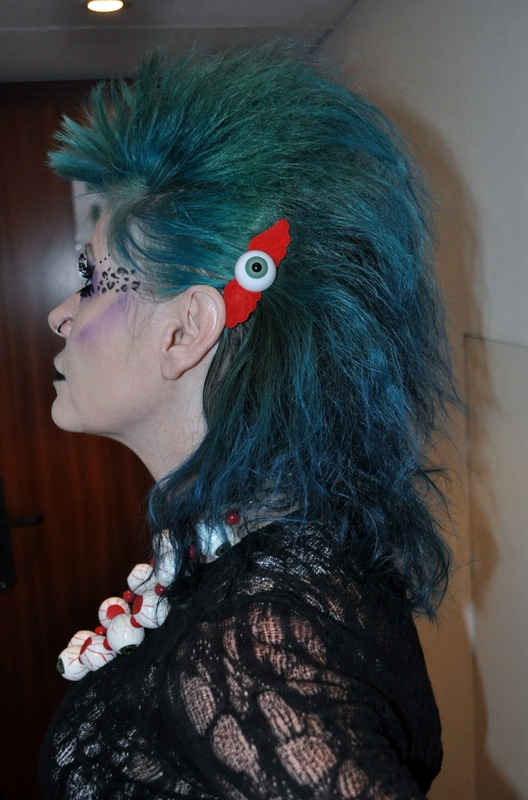 I myself am not brave enough for that hairstyle, but I did a faux-death-hawk….and added leopard print make-up instead! First up, my day/early evening deathrock look, minus the leopard. 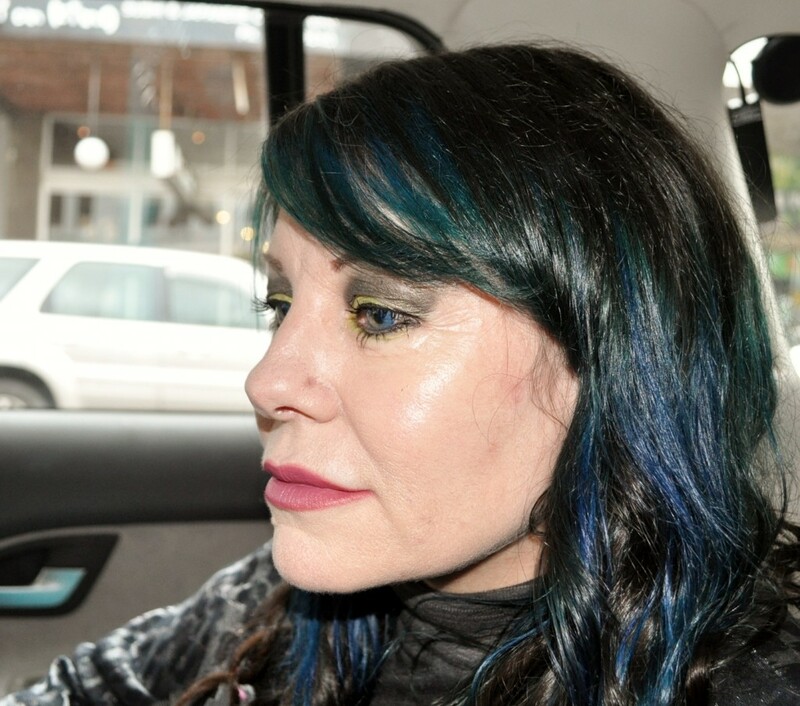 I had black make-up around the eye itself, with a veil of purple eyeshadow underneath the eye, below the highlighter on the browbone, and underneath the cheekbone. My hair was loosely teased, and with a straightening iron I got my fringe into a quiff. I didn’t wear false eyelashes or dark lippy. 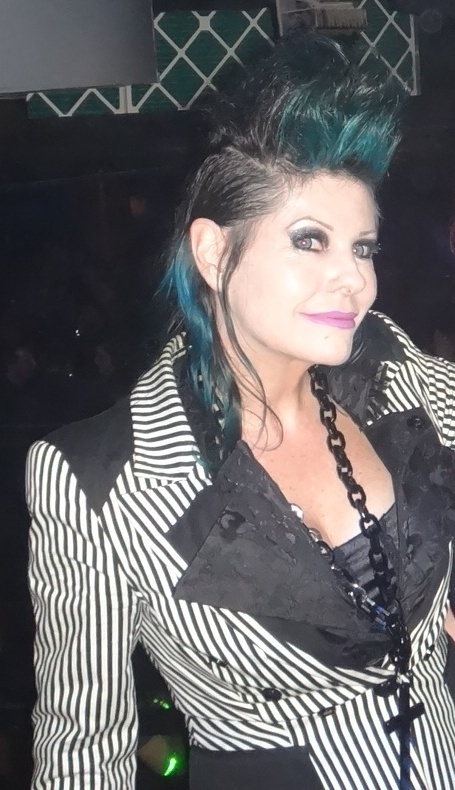 For night-time clubbing I redid the black and purple shadow, threw on big false eyelashes with bobble ends top and bottom, and added some leopard spots. I drew c’s in black eyeliner, making sure to keep them at different angles and in different sizes. I filled the c’s in with silver highlighter pen, and drew little dots in between in black, as well as some other dots at the outer brow area, just for fun. 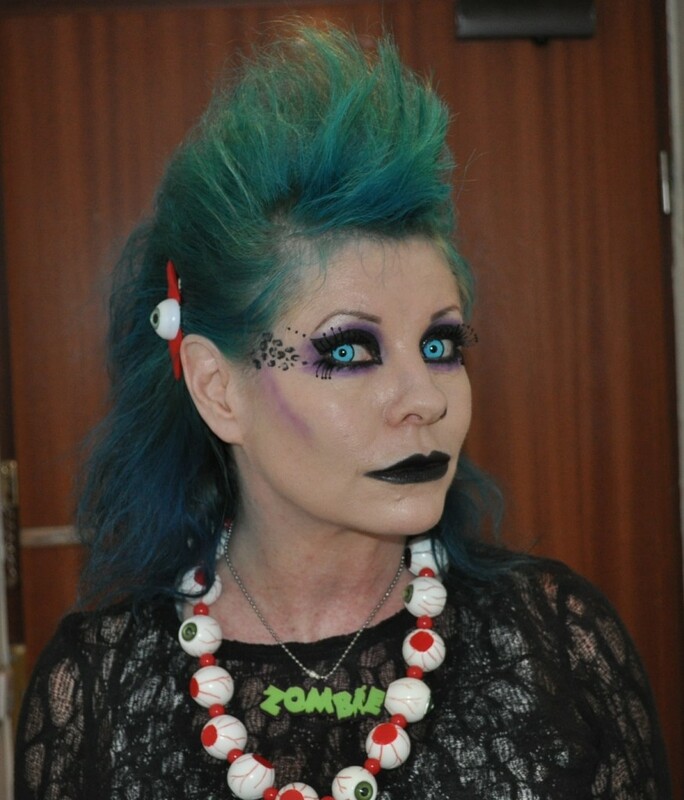 I then did my lips in standard old-school black (with a topcoat to seal the lippy), and pushed the teased hair back into more of a point behind my head, with slides at the side to keep it flat. This side view shows the leopard and hairdo better, and at right is the full outfit. I did the leopard spots several times while I was away, and it does get quicker as you gain confidence. Give it a try – it’s a cool look!